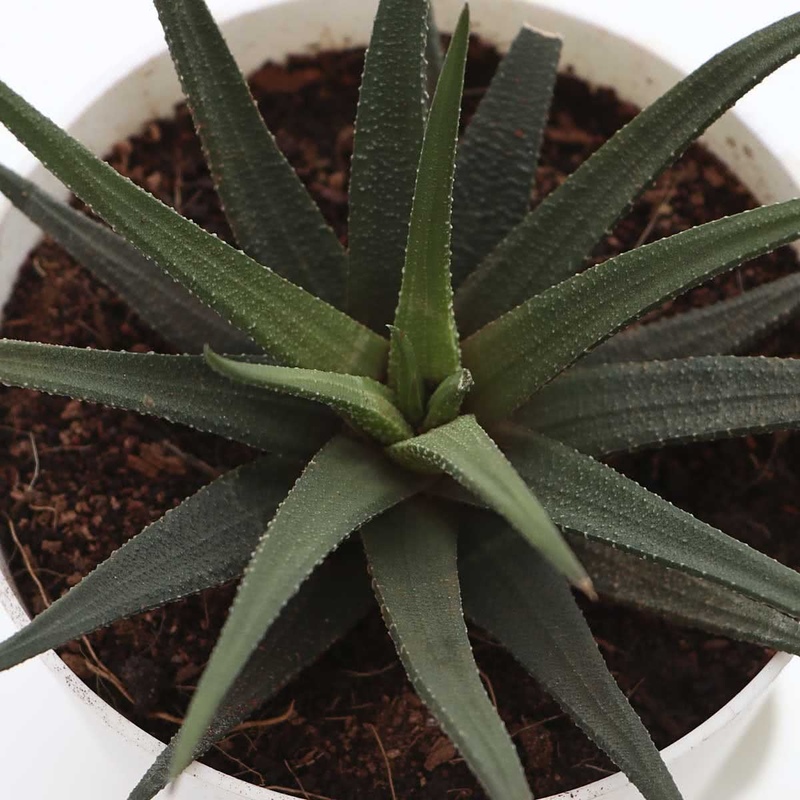 Plant Description: Zebra Haworthia is a small succulent plant native to South Africa. Its leaves are dark green with spotted bands, fleshy, tightly overlapping, and arranged in rosettes. Its flowers are horticulturally insignificant. 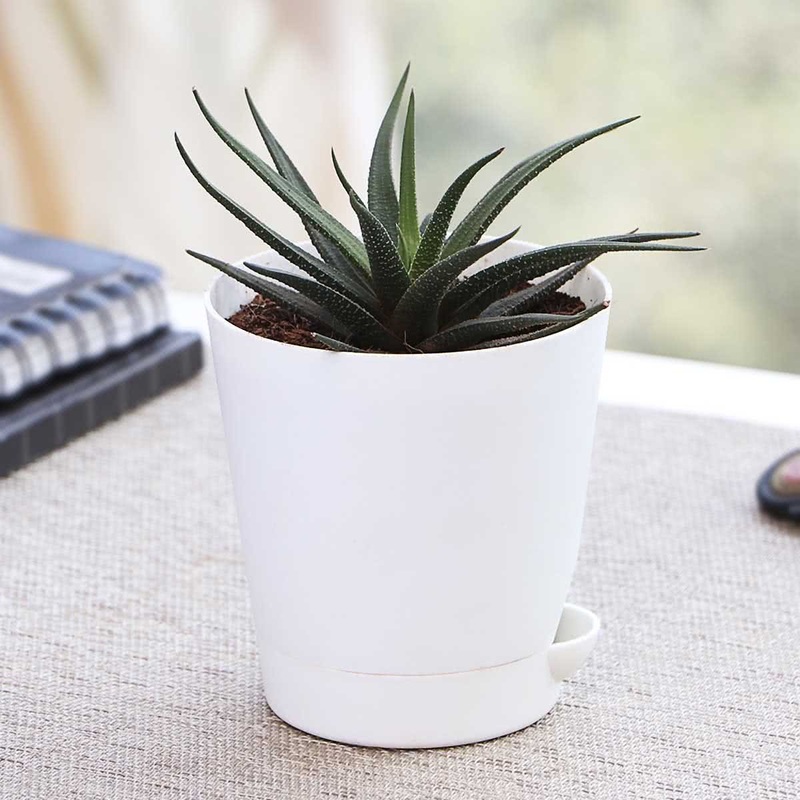 It is a very attractive plant suitable for room decorations. Zebra Haworthia is grown indoors in fancy decorative pots. Growth Habit: Perennial small plant. Average Landscape Size: Zebra Haworthia can reach 4 to 30 cm in height. Soil: The potting mixture consisting of good compost rich soil, sharp sand, and leaf mould or coco peat, in equal proportions suits Zebra Haworthia. 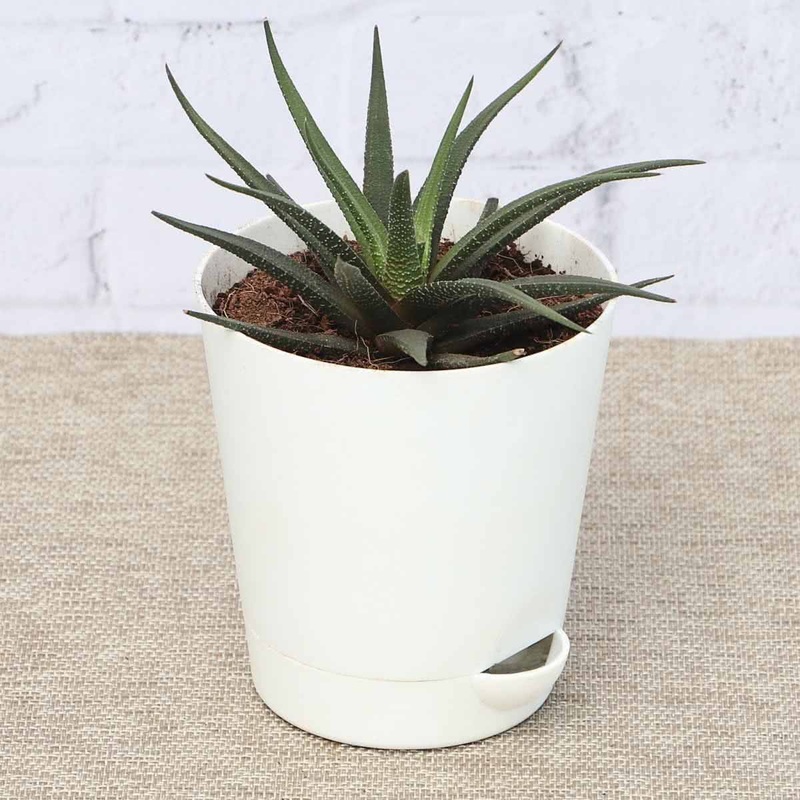 Potting/Transplanting: The pot selected must have proper drainage holes. To prevent water logging, cover the drainage holes with broken pieces of earthen pots or brick pieces before putting the soil. Transplant the Zebra Haworthia sapling in a pot along with root-ball of the original soil. Carefully place the plant in the middle of the pot & cover the roots completely with remaining soil. Repotting: Zebra Haworthia should be repotted every two years. Sunlight: Zebra Haworthia can grow well in full sun, indirect sunlight or total shade. Water: Zebra Haworthia needs moderate watering once a week. The plant should not be exposed to rains, as water will be collected between the leaves, and the plants may rot. Temperature: Hot climate suits zebra Haworthia. Humidity: Zebra Haworthia prefers dry conditions. Pruning: Remove the old leaves & extra growth during repotting. Propagation: Propagation can be done by the offshoot method. Companion Plants: Jade, Ferns, Aloe, Syngonium. Small Aloe-Vera like ornamental succulent, fleshy dark leaves with unique white dotted bands.